Designed using a super-soft, seamless, tubular knitted fabric, these comfort tops provide maximum comfort without compromising on style. Presented in a pack of 3, these tops are perfect for lazy days in the house or during the night as sleep bras. The pull-over styling makes these tops super easy to wear, meanwhile the non-padded, non-wired cups and thick straps make for a relaxed feel that lasts thoughout the day. To complete the look, why not pair with other garments from our loungewear and nightwear collections? 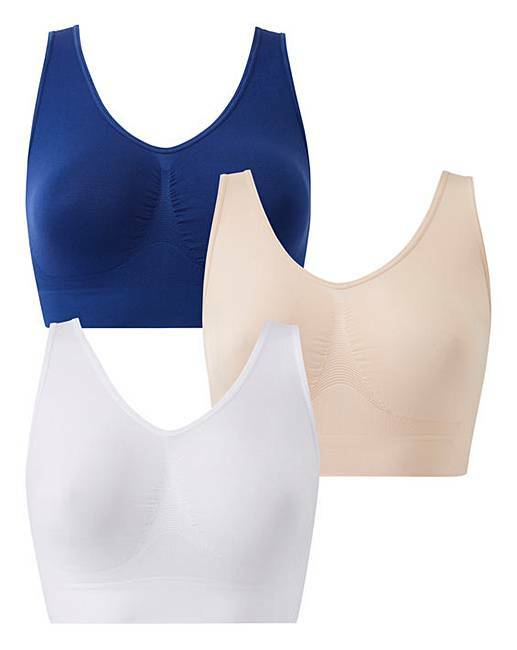 This pack contains 1 white, 1 blush and 1 navy coloured tops.